We ate where Rocky Balboa ate. For some people, their dream is to conquer Mount Everest. 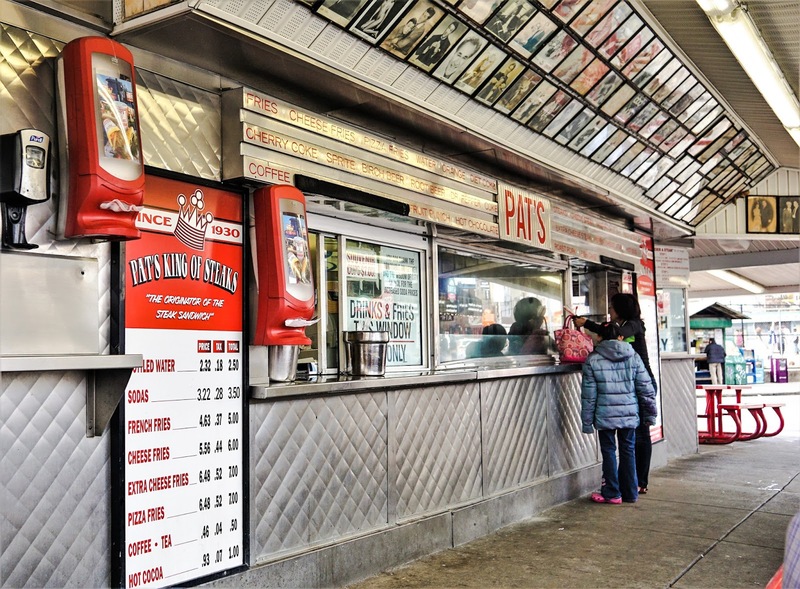 One of Mr Sweetie's dreams is to make it to Pat's and Geno's in Philadelphia. Don't judge. For some us, it does not take climbing a mountain to be happy. 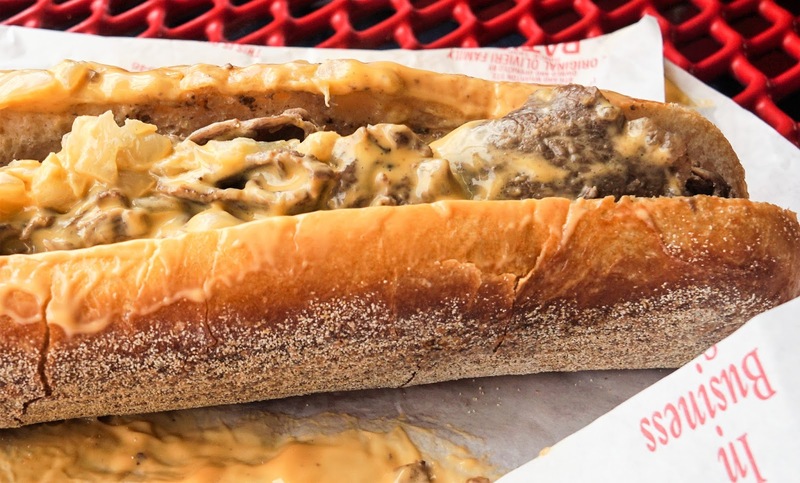 A plane ticket and a mouthful of Philly cheesesteak are all it takes. Plus, Mr Sweetie is a movie buff who also loves to watch cable TV who also happens to have a reformed foodie for a girlfriend. As soon our Lyft driver dropped us off across the street from these two famous gaudy landmarks, Mr Sweetie and I felt like we have arrived. I know that they were not the same calibre as the Golden Gate Bridge or the Eiffel Tower but hey, we dreamed for so long of coming here. 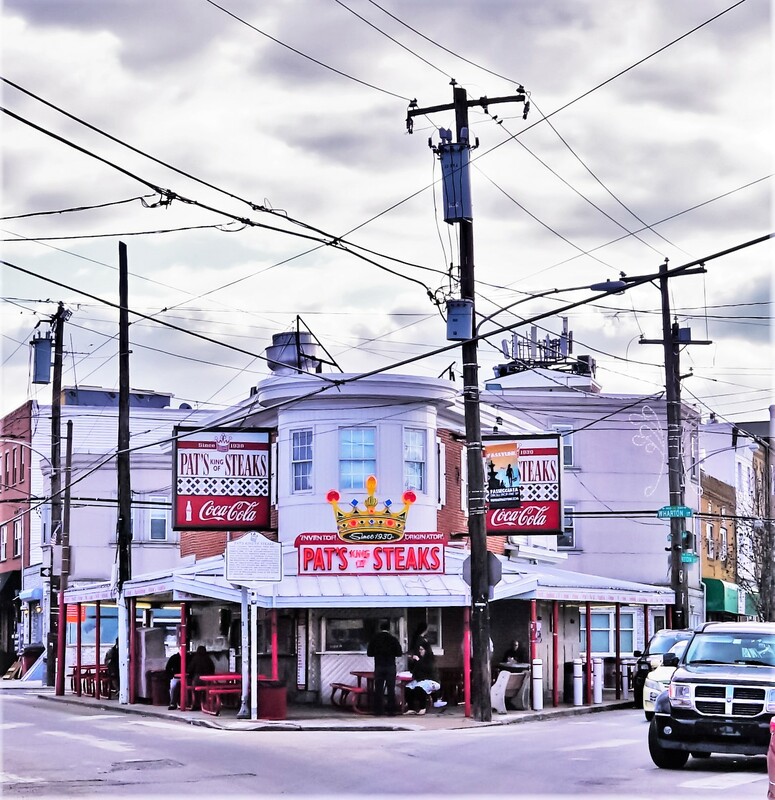 We also really did not expect to make it to Philadelphia anytime soon as it was not really on top of our travel list until I had to come to Philly for business. Pat's was the first one we went to. It was Thursday afternoon at around 6 pm. There was no line and there were plenty of tables. We ordered like a local. Given that there were only a couple of people in line ahead of us, there was really no pressure or no need to be anxious about "getting it right" when ordering. Unlike what we have seen on TV (Travel Channel and Food Network) where the trademark rudeness was to be expected, the staff were nice. We did not get barked at or sent back at the end of the line. I think that was just a gimmick to add some entertainment to the dining experience. Or who knows, maybe it happens after hours when the bars are closed to up the party feels. You also need to get to another window to order your drinks and fries, by the way. 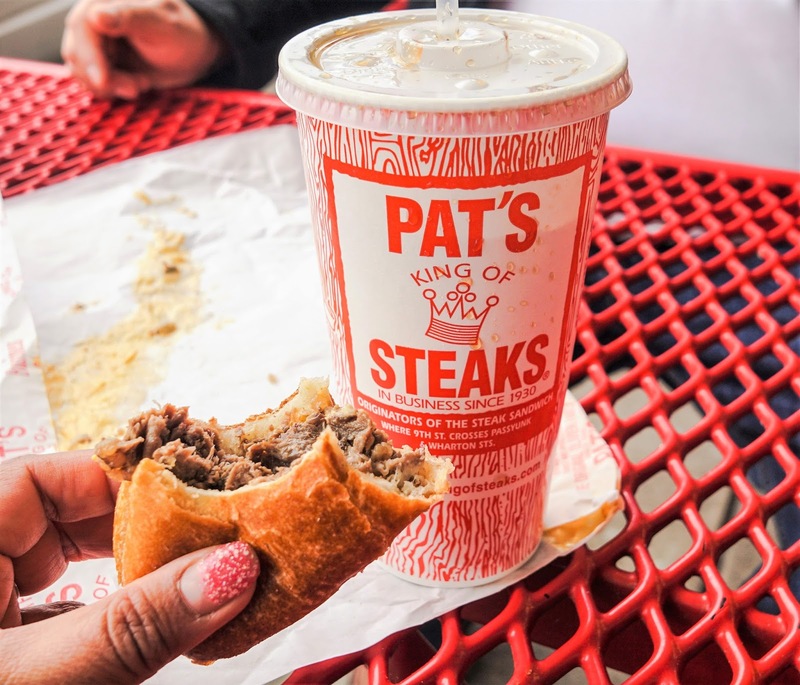 Mr Sweetie and I decided to order just one sandwich each to share at Pat's and Geno's because otherwise, there is no way I can eat two big steak sandwiches back to back. 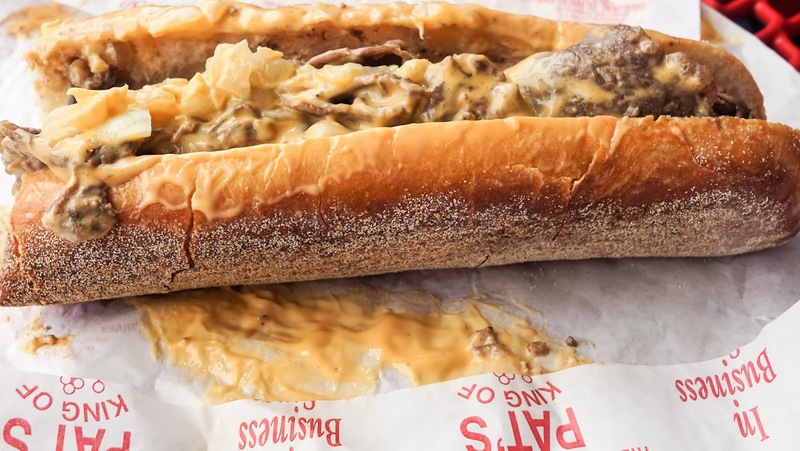 So we finally got to sink our teeth to this original cheesesteak "wit" cheez whiz. It was one messy sandwich! Bottomline, try it for the fun experience and bragging rights. 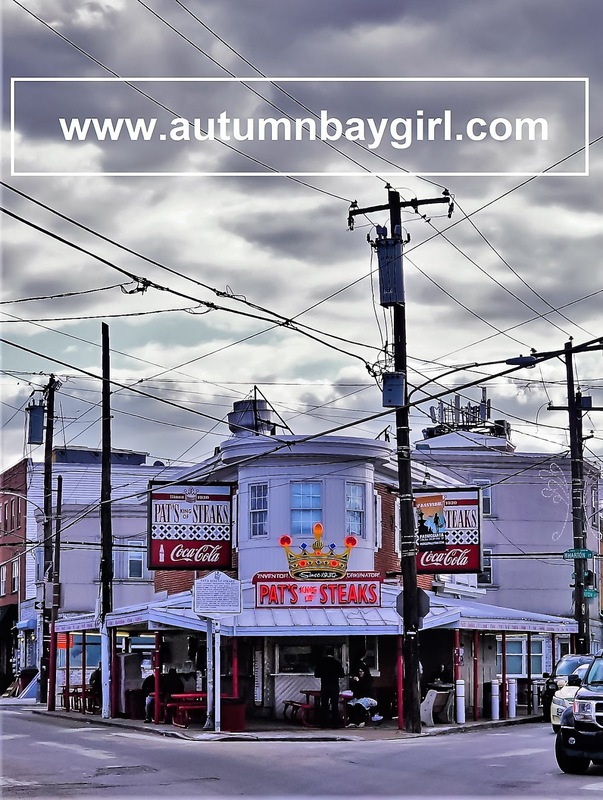 Then ask a local for their favorite cheesesteak place and go there before you go back home. 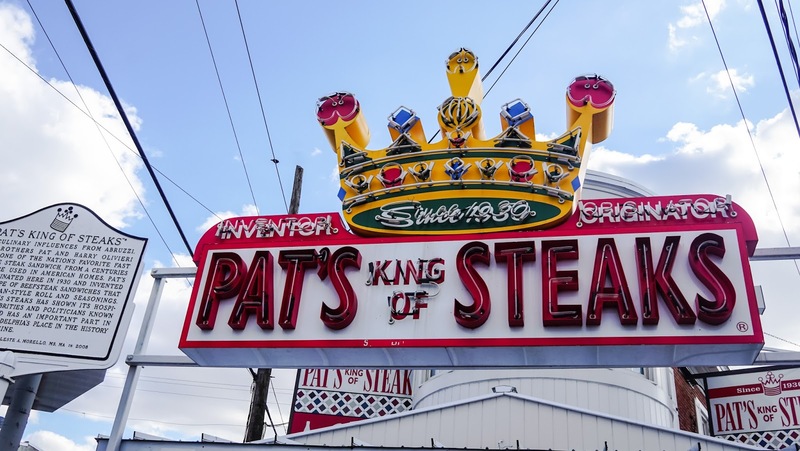 Go after hours when it gets dark if you want the party scene and to see Pat's and Geno's neon lights lit up to their full glory. Outdoor dining only so bundle up. It could get really cold! There are no bathrooms on site but there is a bar across the street that welcomes outside food. Get your cannolis next door at Cafe Crema for dessert. You can also use the bathroom there. 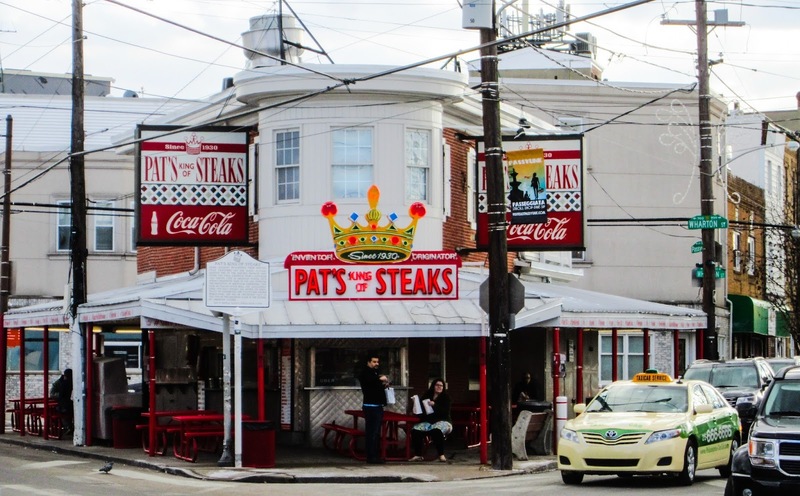 Pat's is about 20 minutes from downtown Philadelphia and located by the Italian Market that is also worth visiting for more delicious goodies.